Click here to download an at-a-glance look at the seminar schedule. Schedule and presenters are subject to change. Sessions take place at USC Thornton School of Music facilities unless otherwise noted. Orientation on what to expect throughout the seminar, how to participate, and how to get the most from this experience. Discuss the need for innovative leaders in the orchestra field to lead change and increased diversity. Connect 2018 cohort to the legacy of 33 years of Essentials graduates before them. Examine critical elements of orchestra finance, review fundamental concepts and structure of financial statements, and analyze basic financial information. Session will include basics such as how to read a balance sheet, etc. Gain understanding of the cultural and societal barriers and inherent bias in the orchestra field. Encourage orchestra professionals to advance their work in diversity and inclusion, including audience, orchestra and staff personnel, repertoire, young artists, boards and governance practice. Facilitated reflections will allow participants to process and assimilate the information they have learned though guided and unguided discussions. These sessions primarily serve as a time for participants to share experiences and discuss the issues that are most important to them. Led by Simon Woods, this session will be a short exercise to stimulate discussion around the different experiences that audiences seek from attending concerts. Music library—Music acquisition, distribution, bowings, librarian, etc. Mentoring sessions will offer individual and small group sessions with core faculty to address FAQ’s about career mobility and professional progression in the orchestra field. Non-facilitated reflections will allow participants to discuss their learning and the program in an unstructured format in a confidential setting. An overview of today’s philanthropic landscape and trends, and how this environment affects cultural institutions including orchestras. Session will also examine key strands of fundraising including major gifts, institutional giving, process of donor engagement, and giving habits of different generations. Exercise: what is the goal of marketing and the goal of communications? Where do they intersect and how do they work together? What is at the heart of successful leadership in the 21st century? There is no one way to be a good leader but understanding the fundamental principles of leadership and how different frameworks apply in orchestra structure will help you develop your own style and approach. How to lead from the middle or bottom of an organization. What will the future symphony orchestra be? Census and climate projections show us that by 2050, the United States will be older, browner and more polyglot – and that most of us will live in a radically new climate. In this session, participants will be guided in examining the pressures these trends might place on orchestras; exploring their solutions; and envisioning a future orchestra as a vibrant nexus of a resilient community. Participants will be emboldened to craft the story of a future that’s so irresistible, they’ll want to enact it right now. How have arts organizations changed over the past fifty years in their relationship and transactions with the community? How can arts/orchestras function within the larger context of our communities? Are there moral and or artistic imperatives that orchestras must adhere to in order to be a participating member of their community and justify the resources that they attract? This session will explore how education programs in American orchestras build relationships with other stakeholders and/or programs to create partnerships. Why is educational outreach an integral part of an orchestra’s work? What constitutes sound educational practice and why it should be a priority? 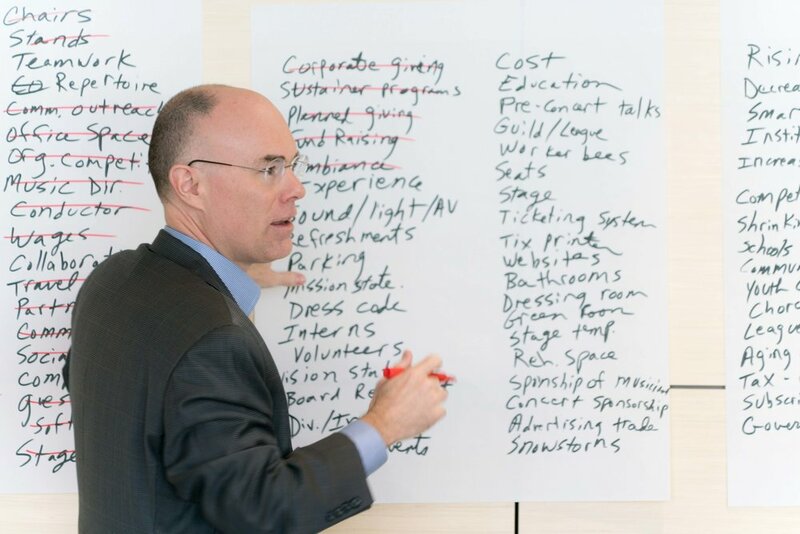 How do orchestras select educational programming that is reflective of the learners’ needs? What are the essential parts of a vibrant, successful, and sustainable orchestra education program? Discussion followed by active learning exercise. Orchestras are among many arts organizations that rely on the support of public and private agencies. Learn about current issues in building public understanding and legislative support for the arts, how to build relationships with policy makers, and generally examine the increasingly important arts advocacy in the United States. Offer entry points to gain foundational knowledge and fluency in this area. Explore the unique fiscal, social, and cultural attributes of small budget orchestras and how those characteristics translate into the role(s) of management. Also, this session will break misconceptions about a correlation between budget size and artistic excellence by highlighting small budget orchestras who are vibrant and artistically innovative at a high level. Labor unions play a longstanding and important role in many orchestras in the United States. Learn essential information about the legal framework for labor negotiations as well as guidance on handling negotiations to achieve the best possible outcomes. Early dismissal on day 5: Go explore the wonderful city of Los Angeles! “Culture eats strategy”. Without a healthy culture, even the smartest of strategies is unlikely to success. This session explores the elements of a harmonious empowered organizational culture and how to create and build it, both as a leader and as an employee. An exploration of the role of boards of trustees, what governance work entails, the role of trustees as ambassadors, the interaction of trustees, staff, and musicians in the management of orchestral institutions. Examine responsibilities of the governing board; effective board leadership; recruiting, training, motivating, and retaining trustees; central ideas in best governance practices and what makes a board effective. Introduction to developing aural skills to listen to music with discerning ears and the ability to intelligently speak about symphonic repertoire and aesthetics of music. Session to include listening exercise and discussion on developing musical vocabulary to communicate about music, including having artistic conversations with musicians, conductors, and soloists. Orchestras are increasingly called upon to serve their communities in multiple ways, deploying their music and musicians as civic leaders, healers, and bridge builders both on stage and in the community. 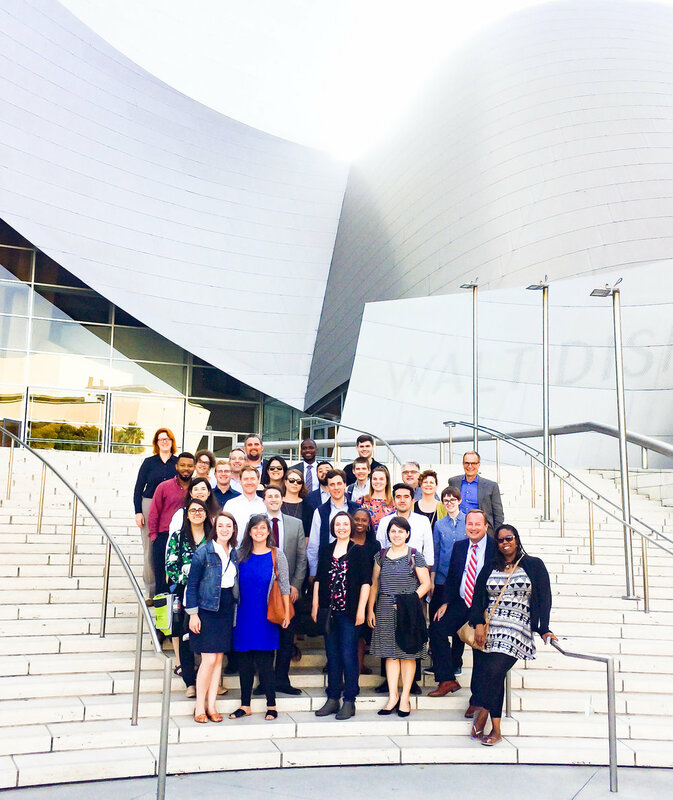 Today’s orchestras expand on their artistic vision, striving for broader impact that contributes to civic priorities such as education, diversity, health and wellness, and connecting with all parts of our communities. We explore Education and Community Engagement in two separate sessions. In a relaxed-style panel conversation and open Q&A, each faculty member shares their career paths in orchestra management, what led them to where they are today, what drives their passion and commitment, and their own sense of mission and purpose in the field. Vision and strategy are playing increasingly important roles in orchestras today because they provide organizations with a high-level plan for achieving goals under conditions of uncertainty. This session examines why vision matters and what defines strategic work. Sharing strategies for prioritizing and addressing common issues that arise with artistic leadership and strategizing solutions based on experience. How to be proactive about keeping lines of communication open with conductors/artistic leadership. How to support the work of artistic leadership. 4:30-5:30pm | Executive Directors meet individually with Faculty coach. Everyone else on break and reading case study. 6:30pm-7:15 | Women in the Orchestra Field, discussion continued. (University Village Patio) attendance optional. 12:00-1:00pm | Final Lunch and Seminar Adjourned!